A lovely tangy green jam to enjoy on toast, yoghurt and ice-cream. 2. 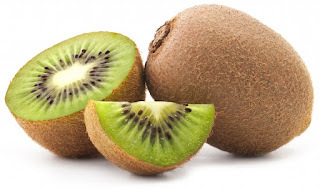 Place kiwifruit and water into a large, wide stainless steel saucepan. Bring to a boil then simmer, uncovered, for 10-15 minutes or until very soft. Gently mash to break down fruit, keeping some pieces whole if desired for a rustic jam consistency – or puree using an immersion blender for a smoother jam consistency. 3. Prepare clean, empty jars by placing them into a pot, covering with water and boiling for 10 minutes. Once the time is up, turn the heat off and leave jars in the hot water until ready to fill. 4. Whisk pectin into kiwifruit mixture. Bring to a boil, as high as possible, and then add the sugar all at once. Bring to as high a boil as possible (rolling boil) and boil hard for 1 minute. Then turn the heat off and rest for a minute and skim foam from the surface (if any). 5. Place lids into a bowl of boiled water. Remove the lids from the water when you are ready to place them onto the jars to seal. 6. Ladle hot jam into hot jars, leaving 0.5cm (1/4 inch) from the rim. Remove bubbles, check headspace is correct, and then wipe rims with damp paper towel and add lids. 7. Boil sealed jars in a pot for 10 minutes (start timer once water returns to a full boil). When the time is up, turn the heat off and rest the jars in the water for 5 minutes before placing onto a towel-covered bench overnight to cool. 8. 12 hours later: check jars have sealed before labelling and storing in a cool, dry and dark place for up to 12 months. Jar lids should not flex up or down when pressed. Flavour Greek-style yoghurt with a spoonful of kiwi jam, and top with banana, strawberries and coconut.